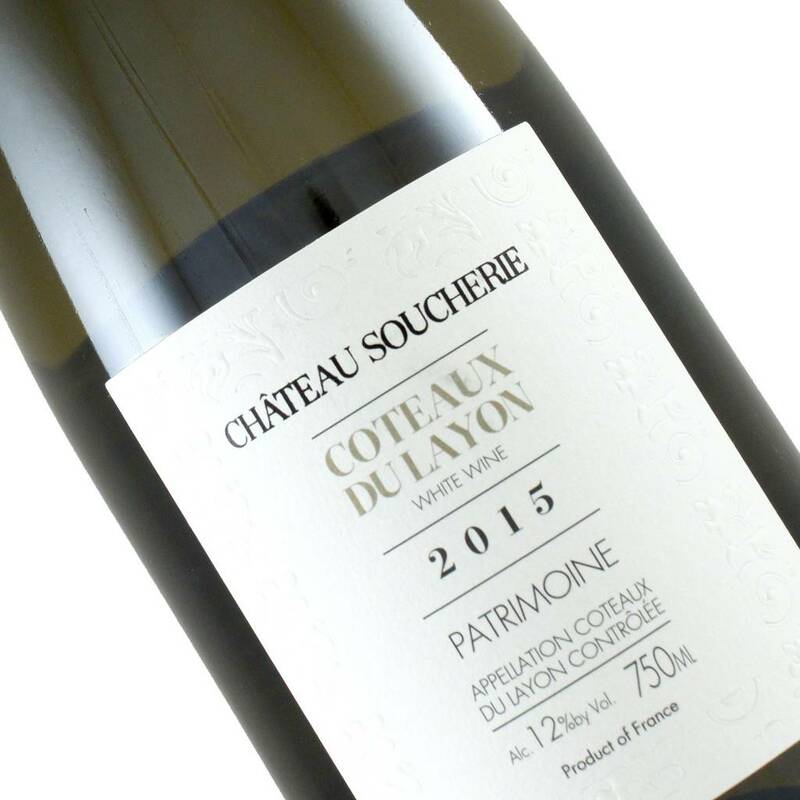 Home » Chateau Soucherie 2015 Coteaux Du Layon "Patrimoine"
Tons of super ripe stone fruit, apricots and peaches, with honeysuckle and citrus rind. Coteaux Du Layon is a region in the Loire Valley that is dedicated to the production of sweet white wine made from Chenin Blanc. Chateau Soucherie is giving us a sweeter white wine but one that is perfectly balanced by higher natural acidity. Tons of super ripe stone fruit, apricots and peaches, with honeysuckle and citrus rind. Round, luscious and nearly oily on the palate but then the acidity bursts through leaving you very refreshed. Cheese plates were made for wines like this.